I started writing here at Profit On Knowledge in 2006. During the past 8 years I have grown as a person and an online marketer. 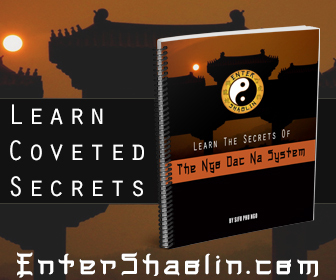 Myself and my partner Jamie Pelaez have taken on the biggest under taking of our online careers, that is to say we created a website to teach people kung fu online. We got to a point in our online marketing where it wasn’t good enough anymore to just be an affiliate of some someone else’s program. Don’t get me wrong there is nothing wrong with affiliate marketing or network marketing. Both are legitimate ways to make money on the internet. We want this website to be more than just another affiliate marketing blog. We want this site to truly help people learn the in’s and out’s of online marketing, from an affiliate viewpoint as well as a business owner/product creator viewpoint. Between the two of us we have tens of thousands of hours and hundreds of thousands of dollars invested in the online industry. What this means is we have a lot of knowledge to literally share with the online world. Were not even sure how we want to earn money from this site. What we are sure of though is we want to provide YOU the reader with as much value as we can. Not for profit, rather because we have had our fair share of struggles and the reality is there certainly are people who lie, cheat, steal from you. There are snake oil salesmen around every corner. By now you probably already realize that information overload is crazy online. Seems like everyday there is something new that you have to learn. For the most part it’s true. The speed at which everything changes online is mind numbing. I am not telling you that to scare you, I am telling you that because you need to know what to expect in the online marketing game. Not everyone can do what you are learning to do. Sacrifices have to be made if you want to achieve online success. So while we figure out what we want to do in this little corner of the internet we will continue to bring you value driven articles. The information you gain here really is from years of trial and error on our part. Absorb what you can and realize we don’t want anything from you. We aren’t writing these things down because we have some kind of hidden agenda because we don’t. We write here because we are passionate about helping people online. So you can expect tips, tricks and other goodies from us. If you where to look either of us up you would see that we have indeed been around the block and back again. We are still plugging away fighting the good fight. We keep fighting to live by example. Everything you find in this blog we have applied in our own businesses and lives. If nothing else browse this site, because you will find years of growing inside of it. You will see my growth. Some of it painful some of it glorious. yes it is right .article told us if we update our site content ,it is batter for site .thanks for this article I am a web designer so this article very helpful for me .thanks a lot .